Two novels in one book! In PENNY DREADFUL: killings in LA appear to be copycat murders based on the Tate-LaBianca slayings. 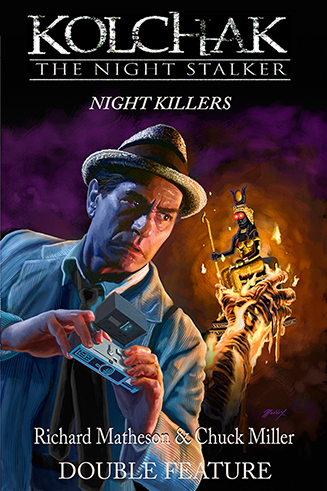 Kolchak meets Domino Patrick (daughter of the original Domino Lady) & learns that the killings are the work of one of the Manson girls. In TIME STALKER, Dan Sutton encounters Janos Skorzeny in 1943, and is attacked by the vampire just as he begins the transformation into the pulp hero Zero. This propels him and Skorzeny forward in time. 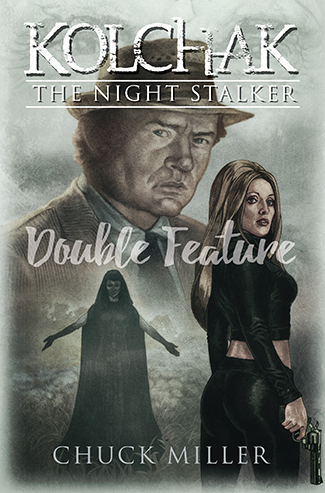 Sutton meets Kolchak & they track the vampire.